Pumpkin carving, hot apple cider, and knitwear – these thingsall appear as the thermometer drops. Here are some examples of knitter reactions to cold weather. It’s that time of year again, when we can put down the cotton yarns and small summery projects in favor of big sweaters made with alpaca yarn, and huge snuggly blankets made with oversized merino wool. Are you excited? I definitely am! Break out the pumpkin spice candles and the super bulky wools, it’s time to get knitting for winter! Who has their Christmas cards written already? Who’s already planning holiday gifts? There’s nothing quite like frosty windowpanes and fireplaces to inspire elation in some knitters. The quiet knitters are like ninjas. You never know that they even knit, and suddenly you get a matching winter accessories set for your birthday, knitted in 4 ply with enough cables to supply all of California. Quiet enthusiasm just means that people are more surprised to get your hand-knitted gifts! “I’m going to make them such an awesome present, they won’t even know what to say!” These nefarious planners have had Christmas gifts mapped out since August….of last year. Dancing is a perfectly acceptable response to feeling the pull of your stash – after all, that’s why you stock it up all year, in preparation for cold weather knitting! For those of us who can’t bear to knit heavy things in the summer, the arrival of cold weather is a literal breath of fresh air. There’s no judgement here – I went into a shop selling ornaments today, and I bounced around like a toddler who’s had too much sugar. I love cold weather. I love everything about it – I’m like a woman possessed as soon as the first frost hits! What’s your reaction to the cold weather? 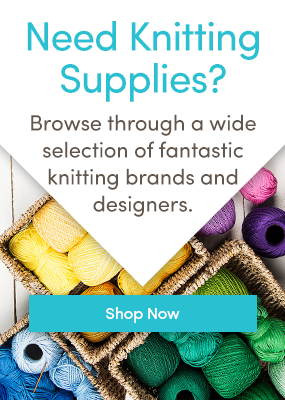 Love LoveKnitting? Follow us on Bloglovin’ and never miss a post! Last updated: October 16th, 2015. After reading this post and laughing about all the funny things in this post a pick up my yarn and crochet hook to make a warm cawl. My reaction would be more of the quiet sort, with the smallest bit of dancing, maybe. Being a Monrtealer, I love summer, I love kniting outside and all, but the first signs of Fall bring about a new energy that I crave. That’s when I start looking at colours differently: I want hues that express ‘Field and Forest’ feelings, or I’m all about the different shades of orange, from pumpkin to Autumn leaves. Yes, I guess my reaction to Fall would be… a change of colours. It’s the Most Wonderful Time of the Year!!! I’m someone who decorates for fall starting August 1st, mainly to chase out the hot and sweaty, and welcome in my favorite half of the year. Autumn is a glorious prelude to beautiful Winter! I knit year round, but I’ve been happily bouncing between all my stashes and patterns to plot my “I want to do this, this and this” knitting over the winter. In fact, as I write this, I’ve got a box of Christmas ornament WIPs I’ve been working on. Glad to see there are other winter-worshippers out there!